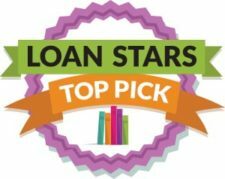 Loan Stars has named 1979 a March Top Pick. 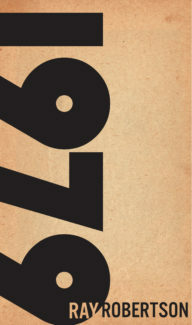 Andrea Yarrow of the Ottawa Public Library calls the novel “One to watch for . . . [a] sweetly nostalgic coming-of-age story about Tom’s developing interest in girls, his understanding of his parent’s divorce, and his discovery of various rock bands . . . . What makes this story a true gem however, is how Tom’s narrative is interspersed with a glimpse into the very private lives of his neighbours, including the people whose papers he delivers, and those whose paths cross his for other reasons.” Congrats, Ray: you’re librarian-approved. Ray kicked off his Southern Ontario tour last night at Toronto’s Monarch Tavern. We’re told the apple juice was wholesome and delicious. Here at home, we’re readying the Bibliomanse for Ray’s Windsor launch, and you’re invited. We cleaned and everything! Come join us in tomorrow, March 22nd, at 7:30 PM, at Biblioasis Bookstore (1520 Wyandotte St E). Disclaimer: no pumpkins will be smashed. 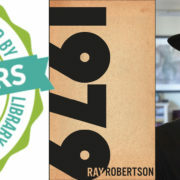 Chatham friends, you can catch Ray on Friday, March 23rd, at 7 PM at The Book Brothers (25 King St E).